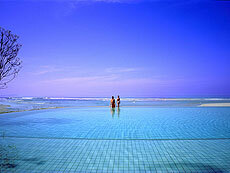 Khao Lak is a new travel destination in Phang Nga province, about 1 hour's drive north of Phuket International Airport. It has become popular since about 2000 as a gateway to the Similan Islands which are considered the most beatiful island group in Thailand. New luxury resorts and villas are springing up, and it is becoming more popular especeally with European tourists who seek a quiet hideaway. You can enjoy scuba diving and snorkelling tours to the Similan Islands and eco tours in Khao Sok National Park which boasts one of the largest tropical rain forests in southern Thailand. 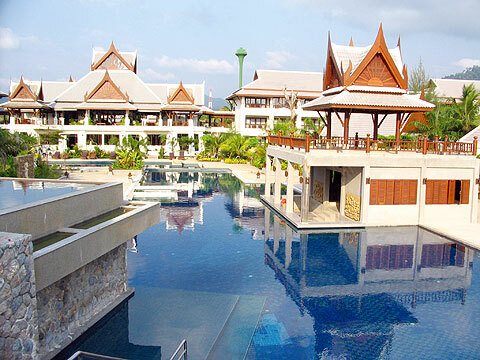 Apsaras Beach Resort and Spa Khaolak is a luxury beachfront resort situated on Pakarang Beach, about a 13-minute drive from Nang Thong Beach, which is one of the most popular areas in Khao Lak. 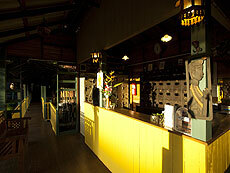 The hotel offers 195 rooms in 6 categories, restaurant, spa and swimming pools in a large area. It is suitable for couples and families. Located in the southern part of Nang Tong Beach, Khao Lak Palm Beach Resort offers luxury rooms and villas close to the beach. Just steps away from the beautiful beach, surrounded by lush green gardens, you can experience a true tropical resort. 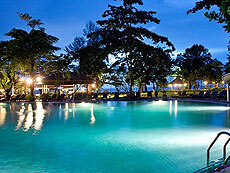 Khaolak Merlin Resort is a true luxury resort on Khao Lak Beach. 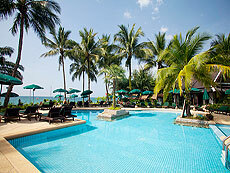 It is located about a 15-minute car ride from downtown Khao Lak, and close to the port for boats to Similan Islands. Surrounded by large lush green gardens, it offers a tranquil atmosphere. It is a perfect base for tours or diving cruises to Similan Islands. 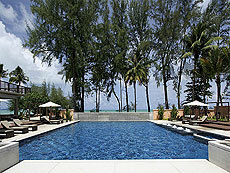 La Flora Resort & Spa Khao Lak is a luxury resort located in the center of Bang Niang Beach, which is relatively quiet. The 138 rooms are divided into 6 categories, from standard rooms to villas. The hotel also boasts a wide range of facilities, such as swimming pool, restaurant, spa, library, Internet, and tennis court. 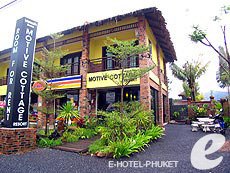 Located in Khao Lak, Motive Cottage Resort is an affordable boutique resort surrounded by nature. The hotel offers simple yet clean and comfortable rooms at a reasonable price. 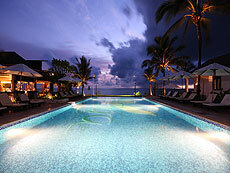 It is a ideal hotel for active travelers who enjoy exploring the region, and also a good base for diving trips. Located in prime Bang Niang area of Khao Lak, Mukdara Beach Resort is a luxury resort set in over 16 acres of beautifully landscaped gardens. 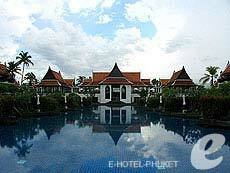 It offers 146 accommodation units in total, including villa style rooms with Thai style roof. All the buildings are built around three big swimming pools; wherever you are in the resort, you are close to the water.